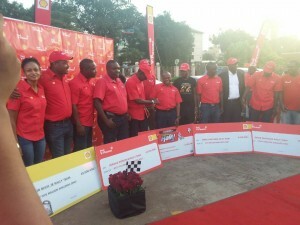 Vivo Energy Uganda, through its premium brand Shell V-Power, has unveiled a sponsorship package worth Ug.shs 110 million towards this year’s Pearl of Africa Uganda Rally. The package was announced during the launch of the Shell VPower Club launch at Garden City on Saturday. There is a ten-percent increase in the sponsorship from the previous editions. The Pearl of Africa Rally is scheduled to run from 20-22nd July. It will be the fifth round of the African Rally Championship series. The rally will attract drivers from across the continent. Shell V-Power also unveiled season sposnorship packages for its crews; Ronald Sebuguzi, Arthur Blick Jr, Omar Mayanja and Umar Kakyama.